In order to better equip the less privileged sections of the society, renowned producer and director Amol Gupte and MET League of Colleges came together. 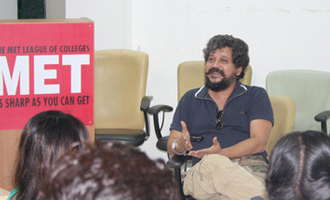 As a part of 2 Decades Celebration MET and Amol Gupte Cinema offered an opportunity of ‘Overview of Film Production’ to financially challenged municipal school children on July 10, 2009. These students who belong to an NGO – Aasima, visited MET for a day and experienced the nuances of film making.